From south west England to the north east, there are plenty of excellent spa hotels across the country. Here are the best spa hotels in England. These are the best spa hotels in Kent, Sussex, Surrey and beyond in the south east of England. This spectacular hotel enjoys a great location in the middle of a dense forest. Its rooms are modern and stylish, and there’s the option to stay in luxury treehouses up in the forest canopy. The spa has a 17-metre swimming pool, a hydrotherapy spa pool, outdoor whirlpool, cold drench showers and a gym with classes ranging from dance to yoga. This country house hotel ticks all the boxes: history, luxury, pampering, relaxation… Set in the Kent Downs, there is plenty of opportunity for walking, plus there’s a golf course. The spa is a Champney’s outpost, so the treatments are top-notch. This lovely West Sussex spa hotel is sublime. 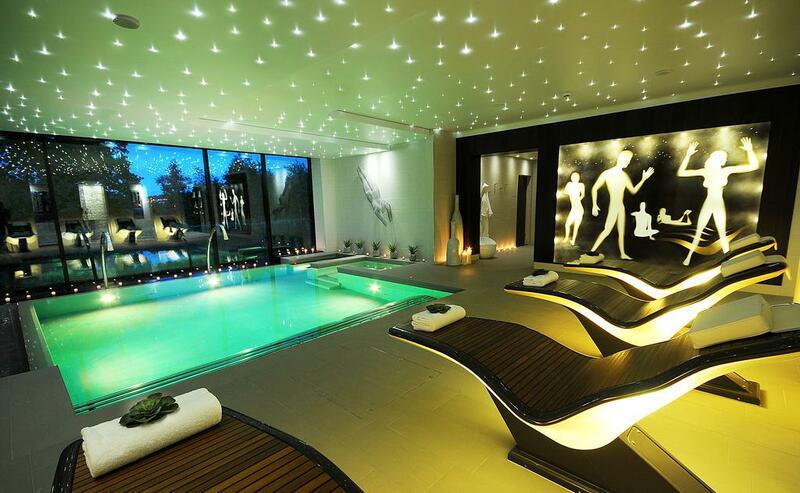 Facilities include a 15-metre mother-of-pearl indoor swimming pool, a gym, four treatment rooms and a relaxation room. Bedrooms are elegant, with florals and pastel colours, and the onsite restaurant is excellent. Live in the south west? Choose one of these spa hotels in Cornwall and Devon for your relaxing break. Renovations completed in 2018 put St Michael’s on the map as one of the finest spa hotels in Cornwall. This stunning property is all about the pampering: there’s an outdoor hot tub and sauna, they offer traditional Moroccan rhassoul mud experiences and have the largest indoor hydrotherapy pool in the south west. Rooms are cosy, with a blue-and-white colour scheme to match the ocean outside, and the Garden Kitchen restaurant serves up divine Mediterannean meals. Hidden away within Dartmoor National Park, Bovey Castle is 5-star luxury at its finest. The spa overlooks the river Bovey and rolling hills of the park, and offers an Art Deco swimming pool, a jacuzzi, sauna and steam room. Treatments use ESPA products and are designed to help relax you. Rooms are sumptuous, with plenty of rich fabrics and even the occasional four-poster bed. It’s only right that Bath, Somerset, gets a look in on the best spas in England. A city synonymous with relaxationa nd rejuvenation, thanks to its Roman baths and history of wellness, it’s perfectly placed for a spa weekend in the south west. Gainsborough’s spa taps into the thermal waters that sit beneath the city, and has two pools, an ice alcove, infrared saunas and a steam room. If you want a break in the countryside, choose one of these top spa hotels in the Cotswolds. 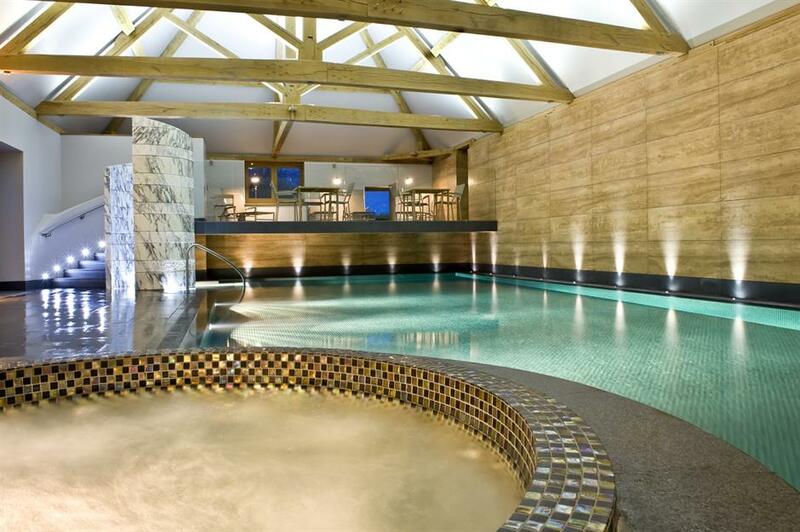 This lovely Cotswolds spa (pictured above) is set in a stunning country house hotel. There’s plenty to do alongside the usual spa activities, such as tennis, a gym and even running routes in and around the grounds. There’s a 16-metre indoor pool, and a kids pool for the little ones should you bring the whole family (they even have a creche). Overlook the Malvern hills, this spa hotels is rather out of the way but well worth the journey. Its hydrotherapy pool has eight different bubble stations, and is heated to a delightful 30 degrees. The pool straddles the indoor area and outdoor terrace – in winter, bathing outdoors with steam rising and the hills sprinkled with snow is sublime. 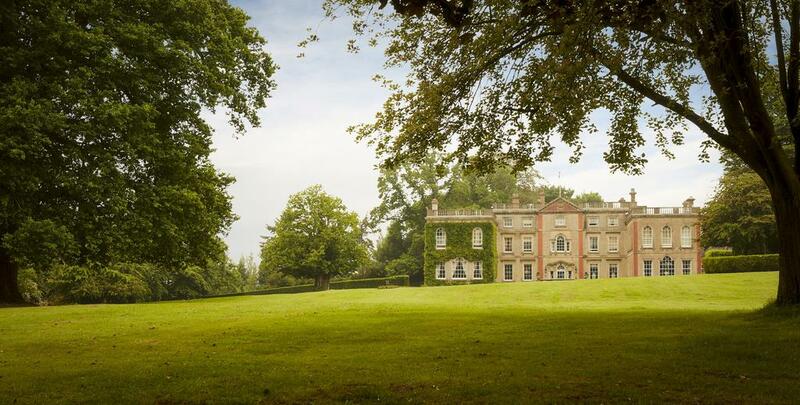 Another country house hotel, The Elms is a grand old Queen Anne mansion with a spectacular spa inside. A pool, a cedar-clad sauna and an ice fountain make up the spa, and rooms are cosy but luxurious, with neutral tones and plenty of light. The north of England isn’t short of exceptional spa hotels. Choose one of these in the north west for your rejuventation weekend. This sprawling country house in Cumbria is one of the north west’s best spa hotels. 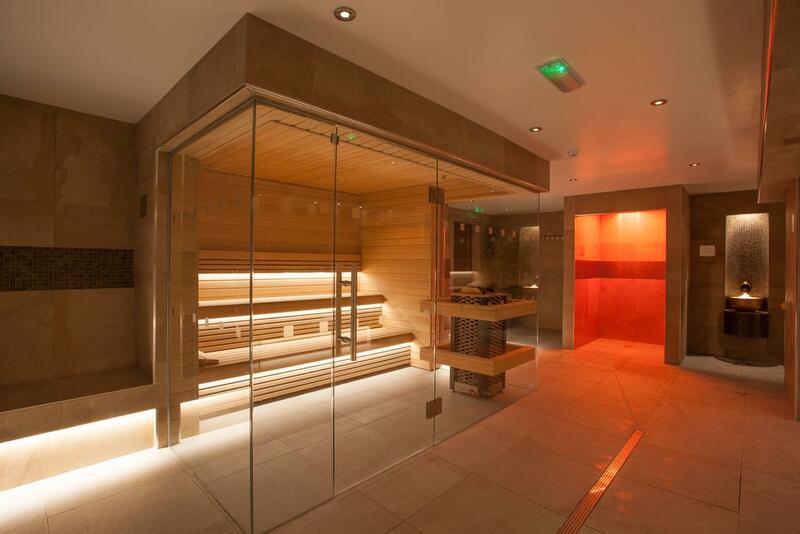 Netherwood has a sleek spa area, with saunas, steam rooms and salt inhalation rooms. The accommodation is plush, and the cosy bar makes for a great place to while the evening away. The facilities at Rookery include a gym, aerobic studio, treatment rooms and a 17-metre swimming pool and hydrotherapy pool beneath a glass ceiling. Rooms can be a little dark, but they’re elegant and cosy – perfect for a winter break away from the cold outside. There’s a two-AA-rosette restaurant, too, so you’ll come away with a happy head and stomach. Indulgence is king at Stanley House. Set in the Lancashire countryside, this wonderful spa hotel has thermal bathing and hydro pools, brilliant treatments and a small pool with loungers. The boutique-style rooms all have glorious countryside views, and the restaurant serves up great steaks. From Northumberland to Durham, these are the top spa hotels in north east England. Close to Hadrian’s Wall, there’s lots to love about this Georgian mansion turned spa hotel. Rooms are plush, the restaurant serves creative dishes with distinct flair, and the swimming pool has a glittering ceiling of LEDs above it, so it feels like you’re swimming beneath the night’s sky come evening. Expect clawfoot bathtubs and a country house feel with a smattering of luxury throughout. 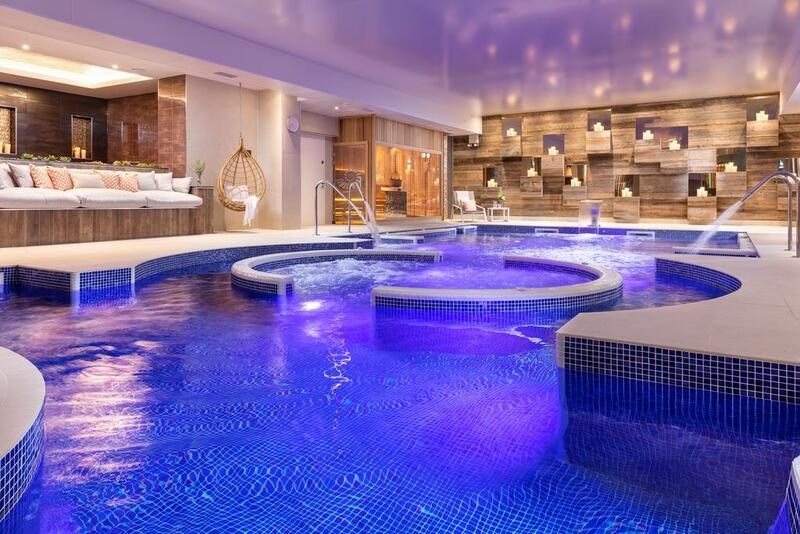 By far the north west’s best spa hotel, Seaham Hall is part of the Pride of Britain group, known for their exceptional service and all-out luxury. Rooms here are individually-styled, with printed cushions, bright wallpaper and boutique elements. The spa is extensive, with an Asian theme and plenty of facilities, including an indoor pool, outdoor hot tubs, steam rooms, hydrotherapy pools and more. Not far from the Northumberland Coast Area of Outstanding Natural Beauty, Doxford Hall is well placed for a pampering break by the sea. The spa has a heated swimming pool, jacuzzi, sauna and steam room, and a range of personalised treatments. 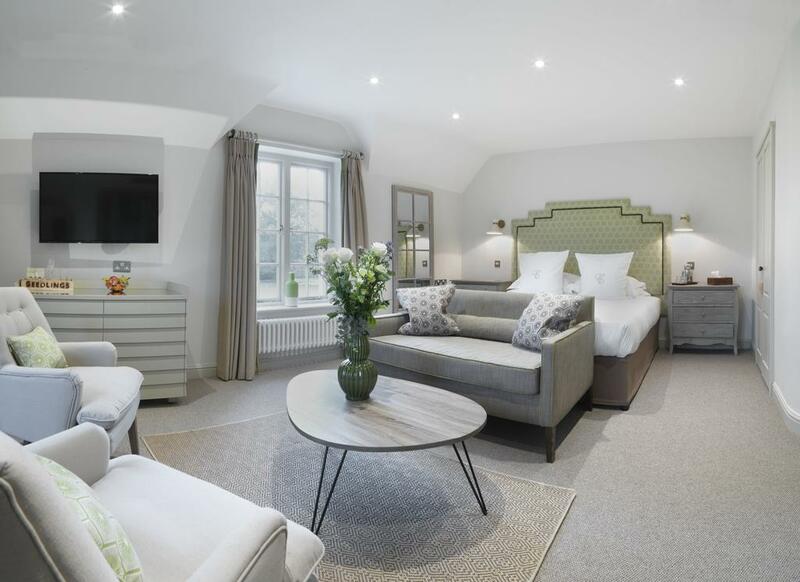 Rooms retain the country house feel, with classic but elegant furniture and Molton Brown toiletries in the bathrooms. There’s a huge lounge and library for relaxing in the evening too.